When it comes to fatty finger foods, wings are my all-time favorite treat. I may be a girly girl, who is always attempting to lose weight or stay “on a diet”, but I will never say no to good wings. My friends think I’m kidding when I say I plan to have them at my wedding one day. This is not a joke. So, when you’re craving wings and beer, you must visit Croxley's on Avenue B. This bar is my go-to spot for plump and crispy hot wings, a wide selection of beers, and a scene of men from handsome jock types to laid back hipsters. Make sure to order the Irish Nachos (fries with bacon, scallions, and melted mozzarella) for $6.95 to share with your friends. 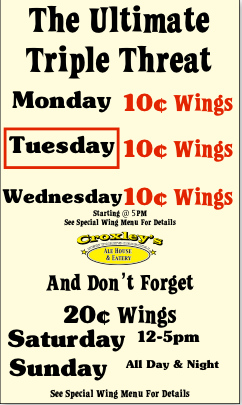 Croxley’s offers 10 cent wings on Monday – Wednesday nights and 20 cent wings on Saturday afternoons and all day on Sundays. 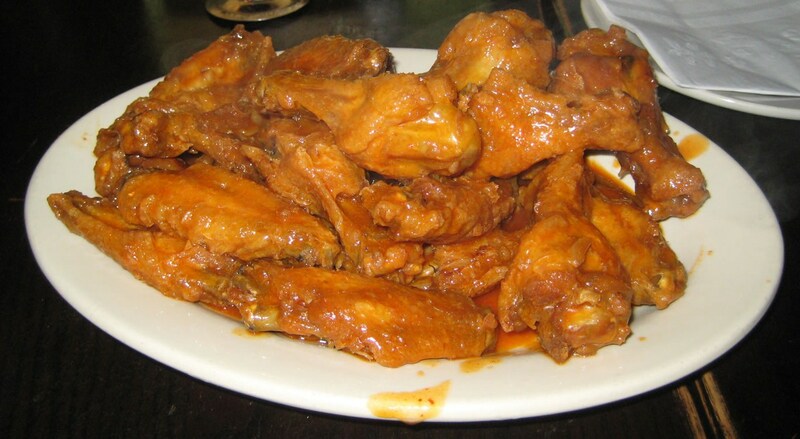 Here are some of the rules to enjoying the “best deal anywhere”: You must order a minimum of twenty wings, there is a $5 drink minimum per guest (even your sober friends can accomplish this by ordering two diet cokes), one blue cheese is served with every fifteen wings, and no doggie bags are allowed. This is the perfect cheap night out with friends! Just make sure to arrive early on a wing special night because after 7pm, the wait can be up to two hours for a table. I go to Croxley's quite a bit, but I find the wings better on the nights when they're not 10 cents. Maybe it's just the lower quantities being served and more attention to detail by the staff. Still great wings though! I do agree w/"East Village Eats" - the wings were tasty when I tried them out on a 20 cent evening & went down real easy, yum especially with their blue cheese dressing! But, I would suggest going to Croxley's on a 10 cent night -the sheer excitement & thrill of a bargain does make it all complete!! Whoa, I was just there Tuesday! Small World! I just enjoyed Croxley's 10 cent wings on Thanksgiving Eve! Delicious, the staff was helpful (especially when the patrons are not good at ball-parking how many wings would be the right amount for the group size! ), and we forgot how small the bill would be (a pleasant end to the dinner! ).